Lorde is known for pushing the boundaries of pop music and her record Pure Heroine in 2013 defined music for years to come. She is back with Melodrama and the years between releases have sharpened her writing to surgical precision. The emotional, fragile and vulnerable side of Lorde in the track Liability is both tragic and beautiful. This is easily the song of the year thus far and may be one of the best written songs of the last few years. The record Melodrama highlights the two sides of Lorde and of youth in general. There is the partying life life to the fullest side, but that is contrasted by thoughts of a life devoid of emotionally deep relationships and regret. This is heady territory for anyone, let alone a pop icon who is 20 years old. Melodrama is a chance for Lorde to flex her writing muscle and Liability is the masterpiece that brings the album together. I will write about the album in depth in the future, so we will focus on what makes Liability the tour de emotional force it is. At first, all we hear is a person count us in with a barely audible “1, 2, 3…” and a lone piano. The song is devoid of the electronic lush found in previous tracks like Green Light and Homemade Dynamite, which makes it instantly more grounded than either of those other tracks. Artistically, the choice to focus on the piano with limited supporting instruments is a bold move for someone who is known for driving electronic force and layered group choruses. However, it is this instrumental choice that reinforces the songs’ core, which is beauty and tragedy. There is an emotional power in the song that fills the space left by a stripped back instrumental environment. It is the way Lorde’s voice and word fill the space that gives the track its emotional core, which simultaneously has you in awe of its beauty, while also breaking your heart into 1,000 pieces. Now, this is not the most uplifting song in the word, but its beauty is indisputable. Lorde’s ability to lay herself bare in this song is courageous and the work of an immensely talented writer. People can argue if this is the best written song in the last 5 years, but, for me, it is easily the most emotionally powerful song I have heard in the last 5 years. 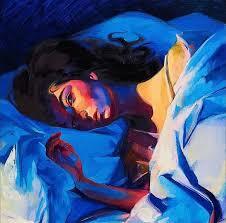 Lorde’s ability to be fragile, beautiful, vulnerable and powerful all in the same song is inspiring. At 20 years old I could barely keep plants alive in my apartment, but Lorde has been able to show a level of insight that most people can only aspire to. I could write books on this song. The best part about this song is how excited it makes me to see what she will be able to do in her next record.